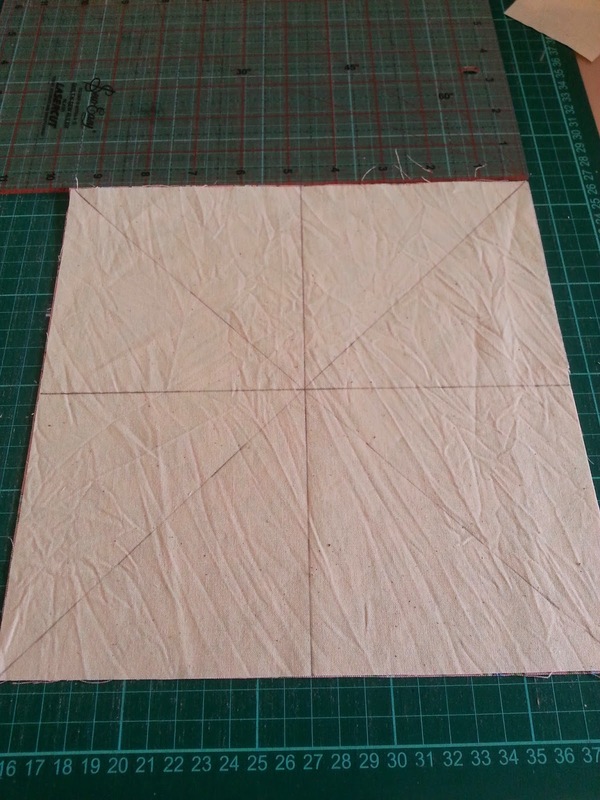 This is the first time I've put instructions (and photos) for a block and it's quite basic. However, I have occasionally stumbled on such posts and found them helpful, so I hope someone might find it useful. A friend of mine is turning the big 50 in a few months and I wanted to make her a quilt. But I wasn't sure what pattern or design to use until I saw one on auntiesquaintquilts.blogspot.com (check it out). It was a table runner and so I set about exploring dimensions for myself. 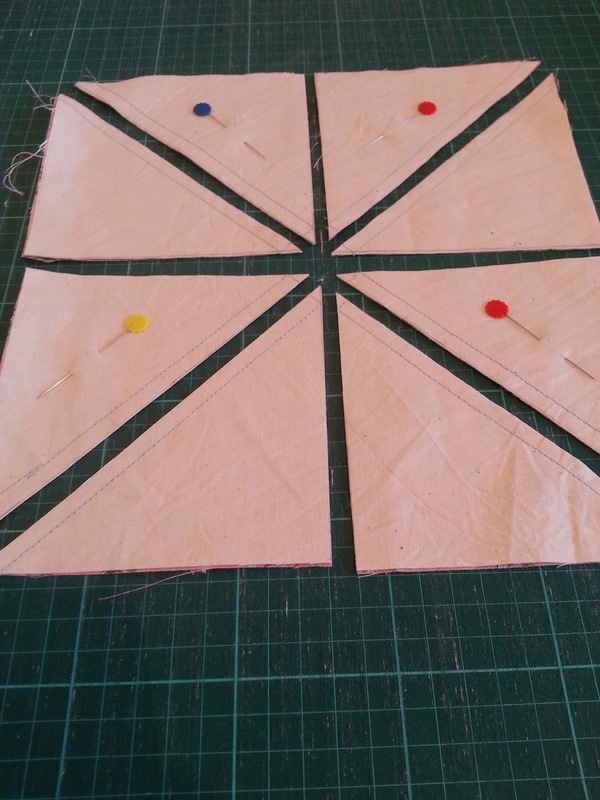 Below is a bit of a tutorial on how mine is going and I will keep things updated as it becomes a flimsy and then I may hand quilt it - depending on how the time goes. 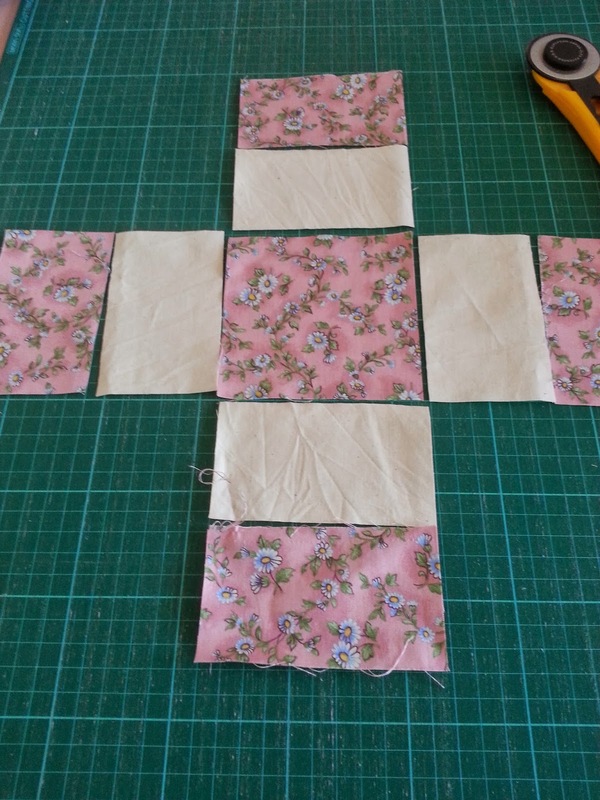 First of all the blocks can be made from fat quarters, plus a neutral background fabric - a quilter's muslin, or calico, homespun, that kind of thing. One fat quarter will be sufficient for 2 blocks. 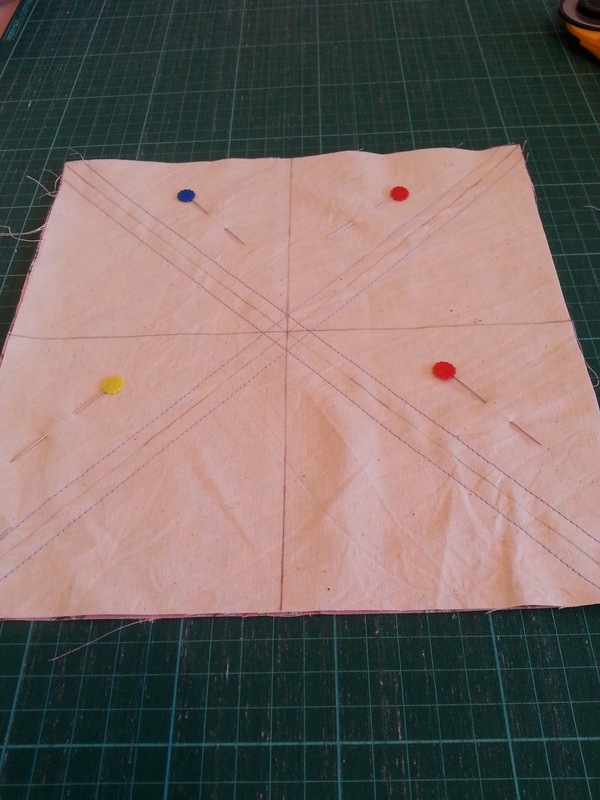 Sew a 1/4" seam on either side of the diagonal line, then cut along the 2 diagonal lines, as well as the vertical and horizontal ones. 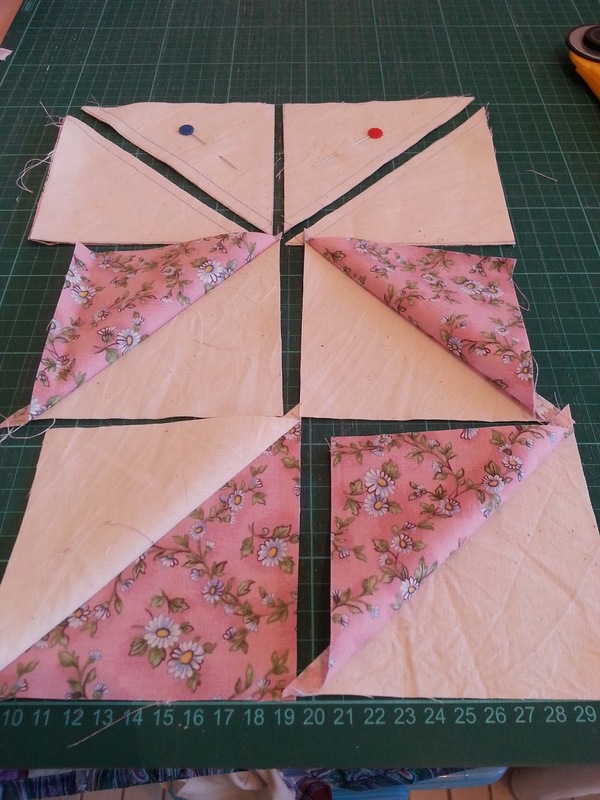 This will yield 8 half square triangles - how good is that? They should be 41/4" squares. 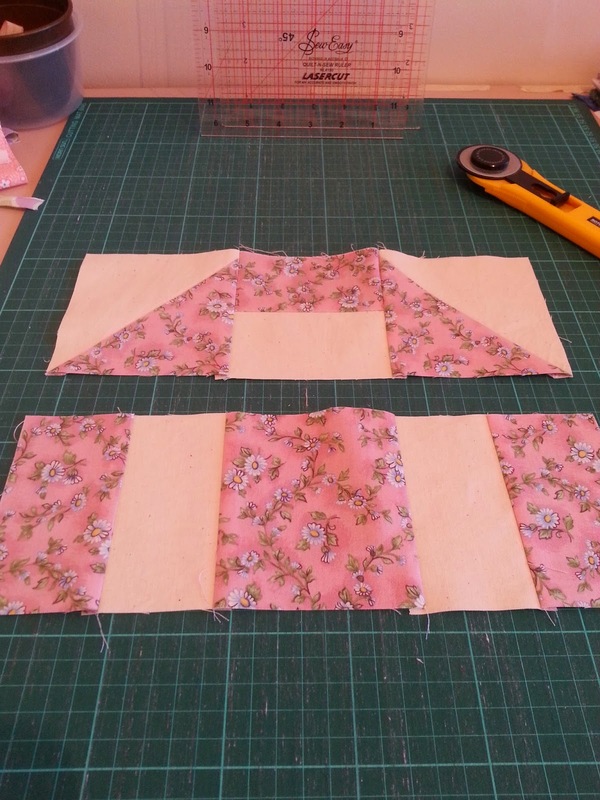 Cut 4 rectangles 41/4" of both feature and background fabric, plus one 41/4" square of the feature fabric. 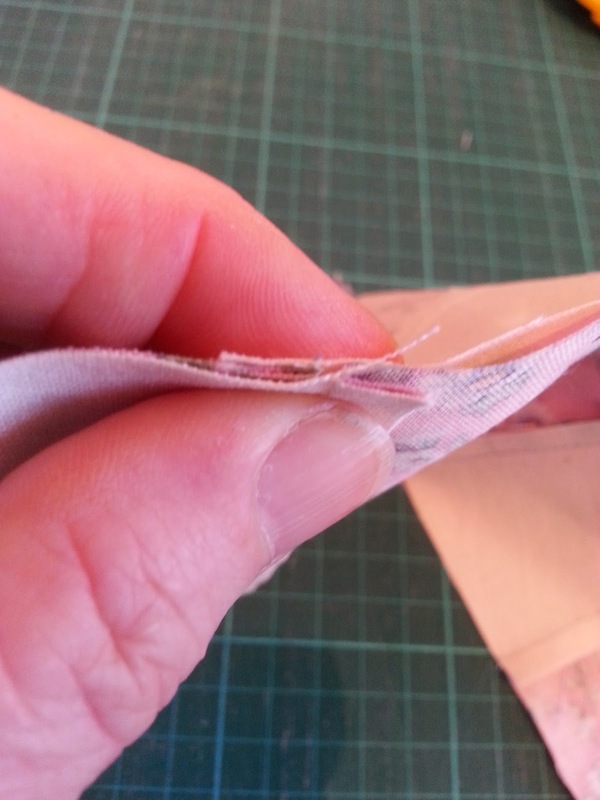 If you press to the 'dark side' (ie the feature fabric) your seams should abut like this: (or you may choose to press open as I do from time to time). 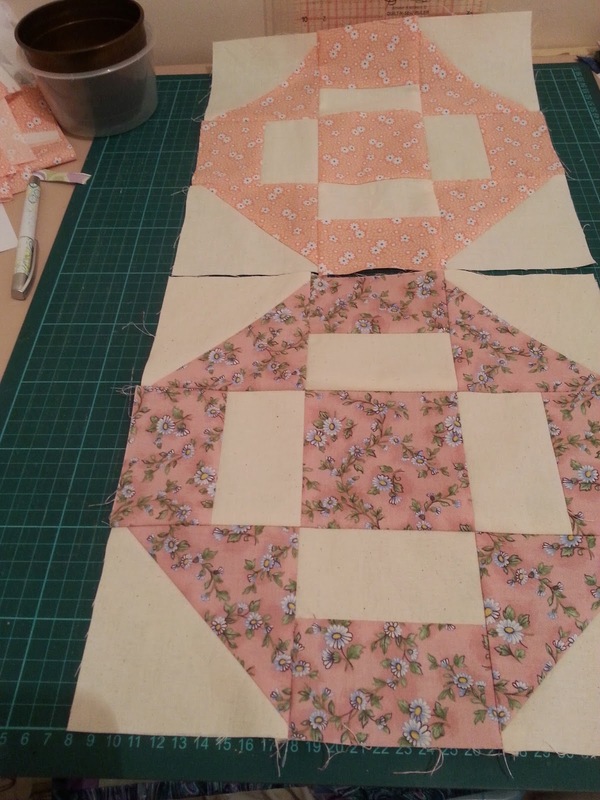 These cute blocks come together so quickly they are quite addictive. And they will leave some great space for a number of friends to sign the quilt for the 50th birthday - a great win in my book! These blocks will be nice and quick to piece using this method too.